Published on December 13, 2012,	by KT in 02. See the Northern Lights, 04. Bike a Long Path, 05. Travel the Camino de Santiago, 06. Touch a Penguin, 08. Snorkle in the Caribbean Sea, 12. Take Mom on Vacation, 18. Visit WWoHP, 29. Visit 10 Countries on 3 Continents, Featured, The 30 Things List. The Northern Lights, taken by Visit Finland. The Aurora Borealis is Mother Nature’s laser light show – who wouldn’t want to see that?! The bonus is going somewhere snowy and cold and dark – a place completely opposite from my home state of AZ. Not sure quite yet where I’ll end up seeing these or how… Cruising to Alaska? From a dog sled in Northern Canada? From a glass igloo in the Laplands? All of those sound like great options! A bicycle on the North Sea Cycle Route, taken by ebygomm. I’ve recently gotten into bicycling. Every night, my boyfriend and I loop around our neighborhood on our Electra 7 speed cruisers, usually going a few blocks away to an area with a few nice hills. It’s fun, occasionally thrilling, and often peaceful – sometimes I even get that zen feeling that runners talk about. We love it. And, just like anything else that I love to do, I want to take it over seas. There are a few amazing bike paths in Europe that go through multiple countries and I want to conquer one – probably the North Sea cycle that goes through the Netherlands. Camino de Santiago passport, taken by James W Berk. I bet this one is on a lot of bucket lists! The Way, called the Camino de Santiago, is a pilgrimage walk to a church in Spain where the bones of St. James reside. Millions of people have walked the Way over hundreds of years. It used to be a religious journey but now it draws people of all different faiths and non-faiths – it’s a meditative adventure for any kind of traveler I’m not sure which path (there are multiple) I’ll take or how long I’ll walk yet, I just know that I’m going to make it happen, hopefully with a dear friend of mine. If you want more info on the Camino, start here or check out this awesome blog about it. “I am so very cute and you should definitely hug me!” says this Chinstrap penguin in a picture taken by Liam Q. Why is this a travel goal? Well, I can’t touch a penguin in Arizona. Not without getting arrested, anyway – though one of our zoos does have a few South African penguins, they don’t offer encounters with the little guys. There are several aquariums in the US that do encounters, though, so that’s an option. I could also encounter (by which I mean, attempt to hug) them in the wild in New Zealand, South Africa, or the Galápagos (though some places have rules against touching). Maybe I’ll even venture to Antarctica and experience it the way travel blogger Andrew Evans, one of my travel heroes, did. Here I am, snorkeling in Maui. If you look really close, you can see Tim’s thumb ruining the shot. I discovered a passion for snorkeling on a recent trip to Maui. I had snorkeled a couple of times before but never saw anything that blew my mind. Then I got this close |_| to a sea turtle! Which was great, because I really can’t see well without my glasses. I want to snorkel in Curaçao or Bonaire, the southern-most Caribbean islands, but with contacts in this time. This is my Mom, when we were finally on our way to Turkey. This goal is less about realizing my dream than helping my mom live out one of her own. I could go on and on about how selfless and amazing my mother is, but suffice it to say that she really deserves to cross this off her life list. She’s earned a week of sitting in the sun, playing in the ocean, and enjoying the beauty of nature. Nerd alert! I love Harry Potter. Is there any other children’s series that is so fundamentally anti-establishment? It’s all about teaching kids not to trust the government and that is a message I can get behind. It’s also, at its core, truly magical. The world that JK Rowling created is a hell of a lot of fun and I’d like to let my inner child play around in it for a while. Drink butterbeer! 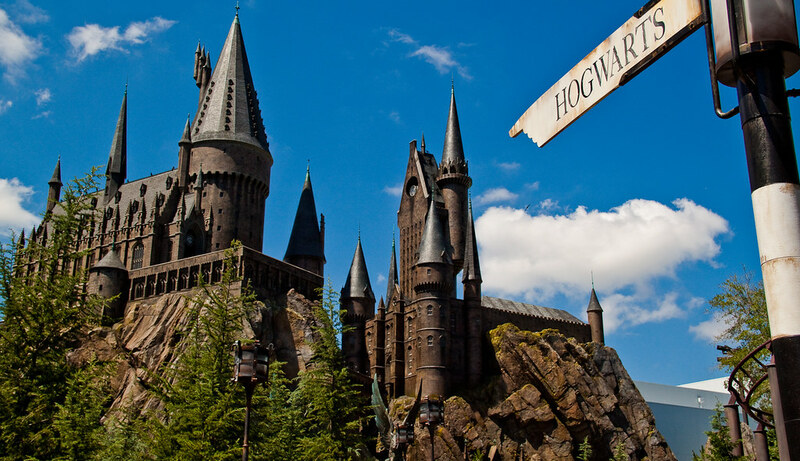 Explore Hogwarts! Shop at Honeydukes! As much as the cynical adult in me knows it will be crowded and expensive, the kid in me says it will be worth it. 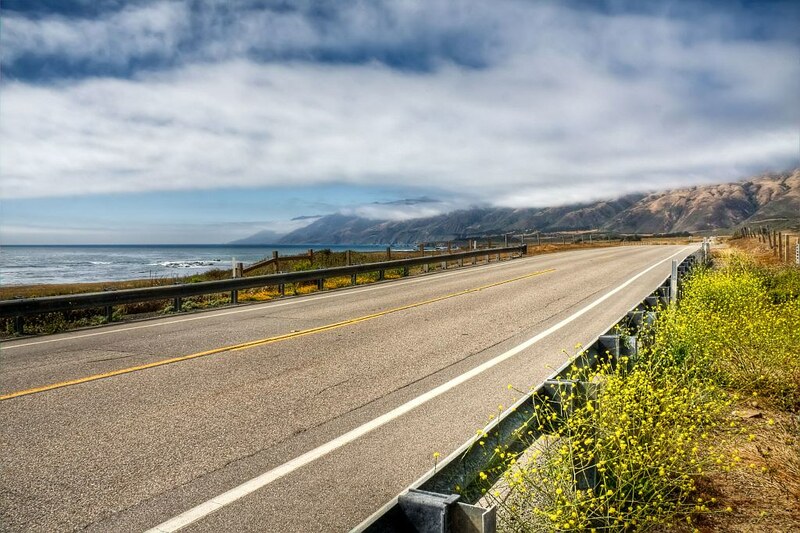 The Pacific Coast Highway, photo taken by DigitizedChaos. The PCH – RTE 1 starts in Dana Point and goes all the way to Leggett in Mendocino County, passing through some of the best California beach towns. It got amazing views, beautiful parks, and beaches out the wazoo – which sounds to me like all the best of CA. Where RTE 1 ends, the 101 picks up, and can take you through the Pacific Northwest, all the way to Tumwater, Washington. I’d like to do this in a hybrid or electric vehicle, starting here in AZ and ending Olympic National Park, during the late summer months when AZ is totally unbearable. This is kind of a cop-out, since a few of the other goals should take me to a number of different countries. The Camino goes from France through Spain, the long path we ride could be just about anywhere, seeing the northern lights might take me to Canada or Finland, touching a penguin could bring me to New Zealand, and then there’s Costa Rica and the Caribbean. So why put this on the list? Because I want to do more, to see more, to go more places than that and I just don’t know where yet. For now, this is a summary goal. Who knows where it will take me!